At others, you want to get away from it all. So where do you go to get away from it all? Easter Island is a drop in the middle of the Pacific Ocean. It is 3600km from Chile mainland and 4200km from Tahiti. This makes it possibly the most remote spots in the world. Not only that, it is a remarkable land where most things are imported and is one of the most amazing and famous archaeological sites in the world. Due to its remoteness it also offers an attitude of ingenuity. When I was there I saw a car that was made almost entirely from wood. It is a fascination for history buffs and underwater vulcanologists alike. Getting there is by plane from Tahiti or Chile. The Antarctic is one of the most pure places in the world. With an almost insignificant amount of pollution compared to anywhere else in the world, it is a remarkable place. However, it is the wildlife experiences that make it unique. Whilst the penguin populations and the accompanying smell can be overwhelming, it is the encounters with seals and whales that will be found in few other places in the world. Whilst kayaking I was fortunate to watch as three humpback whales swam under my kayak, eyeing me as they did. Getting there is normally by a 24 hour+ cruise or research vessel from Australia, New Zealand, Argentina or Chile. Imagine a place where the language spoken is the incomprehensible Malagasy, you get off the small minibus for a meal break in a town with only dirt roads and less than half a dozen buildings. You enter the only restaurant and you are given a choice fish or beef – that’s it. When you get back on the minibus, you tread on a live chicken that someone has moved to the space where your feet went before you stepped off the bus. It is hot and humid, Africa hot and humid. The radio starts playing a song in French about the snow falling. The bus continues and we weave our way around the pot holes that overwhelm the road. The rain starts to inundate the road until the driver pulls to the side every so often when he can no longer see. It is pitch black apart from the lights from our vehicle. We spot some lights ahead. Men slept under shelters constructed of palm leaves with their heads dozing on tables lit by kerosene lamps. Getting there is via Africa or Mauritius. From La Paz at 6000 metres, I quickly descended “Death Highway”, where little crosses marked the roadside where a 300 metre drop had taken people’s lives. On the other side, a steep cliff rose to the heaven. Truck tyres often slipped over the side. At one point I shared the back of an open truck with a local who had contracted malaria more than 20 times. From the back of the truck, we had 360 degree views that included glaciers and rainforests, sometimes at the same time. The trucks headlights did not work and we limped our way to Rurrenabaque under the light of the full moon. Once there, the wildlife was amazing with swarms of king parrots and monkeys chuckling in the trees. However, trying to get out was a little more difficult. I had a week to get back to Sydney. The only two ways out were via a military airline that crash landed the day before or back up the “Death Highway”. Getting there is by normally by plane via North or South America and then a 2+ day drive or a flight on a military airline. Imagine an animal that looks like a cross between a giraffe and a zebra? Well you’ve probably never heard of an okapi. However, it really does exist in Zaire. You want to trade empty containers for food or see some of the biggest populations of hippopotamus, Zaire is your getaway place. Getting there is via a flight from South Africa or Kenya to Kisangani and then a 5 hour overland drive to the park. Trip Advisor is a great resource for gleaning information. However, just as in life there is a great deal of misinformation. I see many instances where the hotel or destination has written positive reviews about themselves (through pseudonyms). Furthermore, I see others where the competition has written negative reviews about them. Often you need to look at the wording and the credibility of the person writing these Trip Advisor reviews. For instance a person who has written just one review positive or negative is less trustworthy that a person who has written 100 reviews. A person who has written lots of reviews about the same establishment or negative reviews about other hotels in the same area has less credibility. Also, does the level of the language go consistently with the person who has written it. I often see reviews written in English by someone who purports to be from an English speaking country and posts a Caucasian photo yet has spelling/grammar consistent of a Chinese, etc. Have a look at the basis for the complaint or complement. Has the person a realistic reason for their positive or negative review? Does it really deserve the rank they gave it? If the hotel has all good reviews and then one bad review (or vice versa), normally I read carefully the reason but generally treat the outlier as just that, an outlier. How do I tell which is the best travel towel and why should I want one? Travel towels are more compact, lightweight, absorbent and quick drying than your standard bathroom towels. They are an essential part of your travel kit. However, there are a number of differences between one and another. In terms of quality, the best way to determine quality is to conduct a stretch test. Try stretching the fabric. A high quality microfibre travel towel will let no light whatsoever pass through. A lower quality towel will show pin pricks of light passing through. Also, check the edge of the travel towel. A high quality towel will be stitched around the edge to ensure durability. 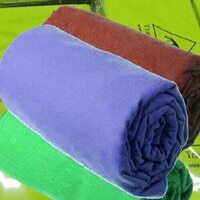 Microfibre towels are a mix of polyester and polyamide. They are normally made from a mix of between 70% – 85% polyester and 15% – 30% polyamide. For the best mix of properties of compactness, lightness, absorbency, durability and strength and 80% / 20% ration is employed. As travel towel made with this ratio will not shrink and stretch like other towels. Some travel towels are treated with silver ions in order to reduce bacteria. This treatment provides fresher towels for longer. Other towels use a silver nano particle treatment which is reportedly harmful. Still others have no treatment at all and can quickly develop unpleasant odours. Travel towels come in a variety of sizes. Towels about the size of a face washer can be used to dry your body by drying and wringing. They are very compact and for some people are ideal due to weight and compactness. Some people like a towel that will cover them and wrap around in the same way a normal towel will. Others prefer a trade off between the two. The best travel towel will come with a loop to hang them on a door or wall. This can be important when using a shared bathroom or a bathroom in a cheaper hotel or backpackers. The best travel towel will also come with a mesh bag when sold in larger sizes. The mesh bags are not generally made for smaller travel towels. The best overseas trips are those where you avoid jet lag. So what can be done and how do I avoid or minimise it? Set your watch to the destination schedule before you get on the plane. Sleep on the plane if it is night time where you are heading. Go to bed early if it will be night where you are at the moment. Say you are heading from Australia to UK (or vice versa) then go to bed as early as possible for the few days before your trip. If you can arrive a few days early, you can get used to the new time zone. Obviously, this is not always possible. Try to nap when you feel sleepy. Eat small meals frequently, choosing lighter foods like fruit and vegetables. Whenever possible, walk around the cabin. When you sleep on the plane, try to plan sleep as if the time is that of the destination. Wear earplugs and an eye mask. Maximise comfort with a pillow supporting your neck and head. If nothing else works then sleeping pills and melatonin (a hormone to regulate sleep) are available. When travelling for long times, a Travel Pack is your most important travel companion. It will be your most important investment for your trip. Secure – you don’t want to be the easiest target for thieves. The following provides a guide of what to look for when buying one. This keeps your kit dry even when everything else is getting wet. Canvas is the most waterproof material. However, there are also some high end synthetic materials almost as good. A completely waterproof would be a dry sac. However, for a travel pack this would be overkill. As long as it keeps your luggage dry in a big storm, it will be fine. Lockable Zippers at the base so nobody can put anything in. The best quality zips are YKK ones. Furthermore, zips need to lock at the base to prevent anything being pushed into your pack. There are 2 compartments. This allows for separating for example, laundry in one or travel gear in one and clothes in the other. The compartments should also be able to be combined back to one when you need the extra space. There are 3 types of pack. An external frame, an internal frame and no frame pack. External packs have excess of frame that can be obstructions. No frames mean that there is no support. An internal frame in many models can also be taken out for washing. Handles at the top and side allow a person to carry the pack as though it was premium luggage used in 5 star resorts. It makes it easy to bypass the hippy backpacker mentality that some hotels still have. It also makes it easy when to carry when you have packed the straps away to protect them during a long plane or train ride. The hip pads support the weight of the pack. A fully adjustable hip belt will spread the weight best. The best travel packs will be both durable and comfortable to wear. The rest of the weight is spread to the shoulders. For the same reason these need to be adjustable and durable. The chest belt is important for spreading the weight well. It allows the weight on the shoulder straps to be better distributed. The zippered strap protection compartment is important to protect your travel packs straps, especially when your pack is in transit on planes, trains and automobiles. It transforms your travel pack into high quality luggage. A zip flap hides the zippers and makes the pack more water resistant. 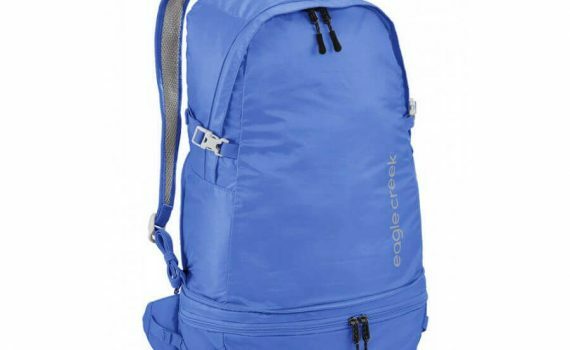 The back needs to be lumbar padded to ensure that the pack is comfortable against your back. 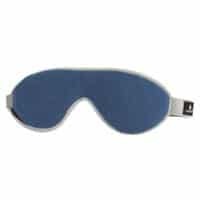 It also protects you from objects that may be pressing against the material of the pack. A 65 – 75 litre pack will be big enough to take what you need for a long term trip but not too big. Wheels add extra weight and as such are not generally a good idea. For most people doing a long term trip as they are no good on cobbled streets, stairs, snow, dirt tracks (or roads), etc they can become quite cumbersome quite quickly. Internal compression straps are an advantage at times to hold clothes and sleeping bags inside. They can help to reduce the size of your luggage. External straps are more at risk of getting broken. U shaped Zips open like a suitcase providing easy access to your belongings and easier to find what you want. It is not just a small hole at the top and bottom. Clips can be used to attach extras such as a tent or something that you do not want inside your pack. There are a number of materials used for travel packs. Holds together better. Single stitched packs will save small change and make big problems. If your pack starts to come apart, you will need to find a replacement fast as it carries everything you need on your trip. Luggage Straps can be an advantage but are not an essential feature. Your travel pack is an investment. Buying a poor quality travel pack may be the worst mistake you make in your trip. It can turn a good trip into a bad experience. You will want to spend money whilst overseas. There are a number of ways that you can carry your travel money. When exchanging money, look for exchange houses that show both sell and buy rates. This way you can verify that the spread is reasonable and you are not being ripped off. If this is not possible, look it up on www.xe.com or in the currency exchange below and add a few percentage points to determine what a good exchange rate should be. Haggle. 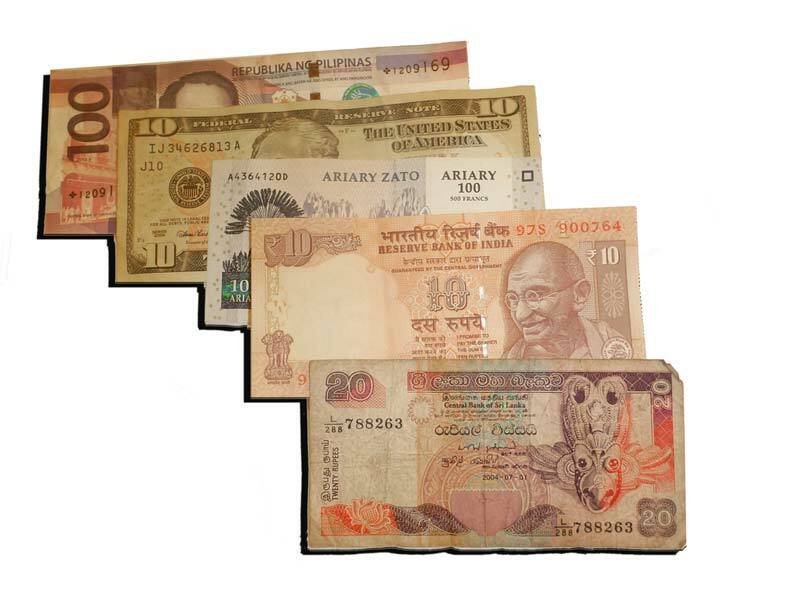 In India I saved between 5% and 10% by shopping around and haggling over the exchange rate. You may want to carry a small amount of currency for when you arrive. Airports always give the worst exchange rates. Hotels also give very poor exchange rates traditionally. Banks can take significant time to change money. Money changers, especially where there are multiple changers together are your best bet. Bring cash in a variety of currencies such as $US, GBP, Euro, AUD and CHF. Also, possibly bring it in your own currency or the currency of your host country. Where do I change the currency? Given that labour rates make up a large percentage of the commission, it is normally better to change money in the country with the lower labour rate. If your own currency is in a downward spiral and you are heading off in 6 months, it can pay to obtain some cash at home. Always remember to bring crisp new notes. Often torn, written on or old and dirty notes will not be accepted. Also, be aware of counterfeit notes. Exchange in fewer larger transactions to get the better rates. In some countries, there is a black market in the currency. This happens where the country ‘pegs’ its exchange rate artificially high or low. This ’black market’ is illegal to access but in some countries is accessed quite readily. In others, police are there ready to extradite or fine those people accessing it. Some countries have limitations as to the amount of currency that you can bring into or export from. Other countries require you to complete currency declarations, even for small amounts. Depending on where you are travelling, using an ATM may be an option. If you are travelling in first world countries such as Europe or USA, you can use credit cards and ATMs more easily. In third world countries, however, normally, this means carrying cash. In some third world countries there are normally ATMs at the airport or in the capital city but not necessarily in other areas. However, these ATMs may have very small cash advance limits. This translates into large transaction costs. In a first world country, you may be able to withdraw $1000 per transaction. If there is a $4 transaction cost then this becomes 0.4% of the transaction. However, when the limit is only $100 then the transaction cost becomes 4%. If withdrawing from an ATM make it the largest possible withdrawal to save on withdrawal and exchange fees by your bank and the foreign bank. Some banks have reciprocal ATM arrangements in certain countries that may make international withdrawals cheaper. Citibank advertise a fee free Visa Debit card that allows fee free international transactions on purchases and ATM withdrawals. There are apps for finding ATMs such as ATM Hunter and ATM Finder. These will help you find the nearest ATM. Your bank may also be able to provide you with information on ATMs in the countries you will visit. Travellers cheques are an alternative. However, they will cost you money and may not be easily changeable. They are not used very often these days. I recommend against using travellers cheques these days. Credit Cards are a good alternative for larger purchases. On smaller purchases, the transaction costs can be too high to make it worthwhile. Be careful. Often vendors will ask if you wish to pay in local currency or your own currency. If you ask for your own currency then exchange rates can be very poor. Let your credit card company know you will be travelling so that transactions are not cancelled by the company in your interest when they are flagged as abnormal. Hailfax Clarity in the UK is advertised as a card without ATM charges worldwide. If you are from USA, then a Charles Schwab account makes sense. It allows you to withdraw money from any ATM worldwide without paying a single cent for the transaction. Travel money cards allow you to lock in an exchange rate before you go. This can be useful. However, exchange rates can be poor and running and transaction costs can be high. The Travelex Multi Currency Cash Passport Prepaid Mastercard is an option for Australians. There are no overseas ATM fees and there is a $15 setup and $10 closing fee. Providing you do not switch currencies, withdraw in Australia or keep it open over 12 months after you stop using it, it is worth considering. Revolut offers a no fee and great exchange rates for 90 currencies. See revolut.com. They use an APP on your smart phone for the transactions. You can even wire money across to yourself or have someone wire it to you from home. If you wish to wire yourself money, this can be done over the internet from a bank account or credit card you setup. 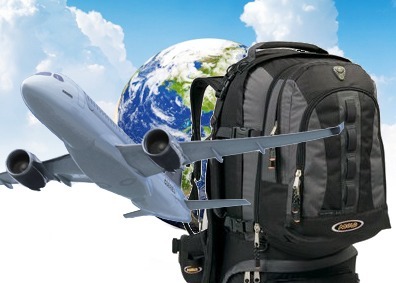 You may be thinking if it is that dangerous to travel why travel at all? In fact, most places are much safer than reported. Also, if you start heading into dangerous areas, locals will usually tell you that you should not be there. If you develop the travel bug, you will probably go to places that people warn you against travelling to because of crime or disease or something else. However, these places can sometimes provide the most amazing travel experiences. If you lost money, you can make some more. If you contract a disease, in most instances, if you are prepared, you will recover quickly. However, if you don’t go, you will never have the experience. A Fascination Philippines Travel experience. Recently, I visited the island paradise of Bohol, one of 7000 islands of the Philippines archipelago. At about 4pm on a Wednesday, I walked out from the Tagbilaran ferry wharf, and was approached by taxi and tricycle touts, after a fare. The odd looking Bohol tricycle was an unusual form of transport so I decided to take a ride. It was colourful mini vehicle fashioned from a motorcycle with a side car. At its rear was space for my luggage and a roof to make sure that the driver and passenger stayed dry. As we passed other tricycles, the driver explained that the every tricycle had a tag line from the bible at the rear of the vehicle that was required by law. Apparently, originally, they had allowed advertising and because the adverts showed beautiful women in bikinis, it caused problems with morality. As such the government had implemented this interesting law. The next day, a shiny black limousine pulled up at the front of Cherrys Hotel at 7am. We visited the interesting Chocolate Hills, thousands of small hills, all about the same height and shape. Originally called the Carmen Hills consistent with the name of the nearby town, the name was changed to Chocolate Hills to attract more tourists. We passed through the man made mahogany forests, a fantastic place where huge mahogany trees provided shelter for all sorts of small animals whilst stabilising the ground to stop landslides. In a brief stop there, we were lucky enough to see an 18cm millipede. We passed beautiful green rice fields surrounded by coconut trees. Eventually we stopped at a small conservation park. 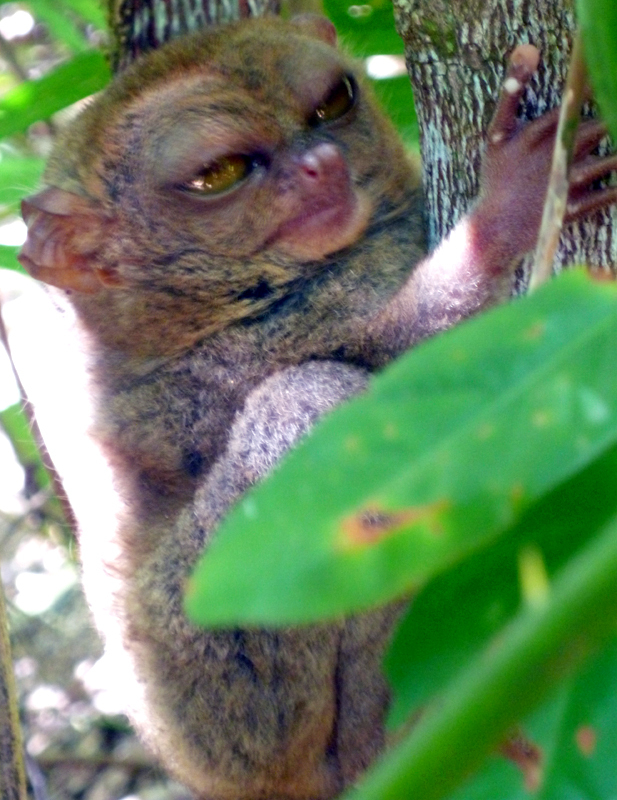 It was home to 4 tarsiers, one of the smallest primates in the world. A full size adult would fit in the palm of your hand. However, the most interesting thing was that the creature looked almost the same as Yoda from Star Wars. Is that you Yoda?